- Night View Assist Plus featuring pedestrian recognition and spotlight function. With a replacement value well in excess of $400,000, this stunning high performance Cabriolet represents an incredible opportunity for the astute. 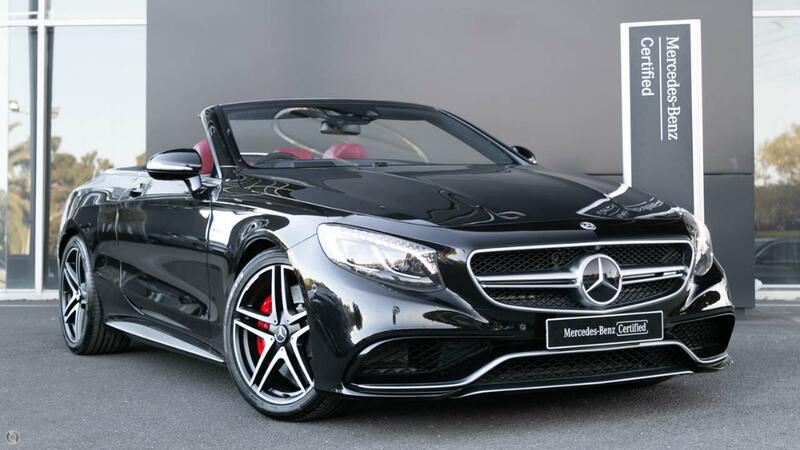 Take the wheel of your truly exceptional S63 Cabriolet with absolute confidence - ONLY from a Certified Mercedes-AMG expert and the reigning "Mercedes-Benz Metropolitan Retailer of the Year" again, for the 5th time in 6 years! - Stainless steel boot sill. - "V8 BITURBO" lettering on the front wings. - Twin cup holders - front. - Remote boot lid release including power closing for boot lid. - Tyre pressure monitoring system. - 239 g CO2 p/km.